Eva’s Updates – Page 2 – A journal of Eva’s battle with leukemia. Eva continues to proceed through the treatment cycle called Interim Maintenance I. The plan calls for doses every ten days instead of the weekly treatments she has had since the beginning. We have enjoyed the slower pace of this cycle. Eva didn’t have to go to the clinic at all last week, and her blood counts numbers at her most recent clinic were so good that the nurse commented we could probably get outside with her if we wanted to. We took advantage of the opportunity and during the week we paid a visit to Joshua Tree National Park for a nature walk and the San Diego Botanic Gardens for some more exploring. It was a nice week and felt like a welcome return to normalcy. This week was to start with a Monday dose of vincristine and methotrexate. Audra took Eva to the clinic instead of me because of my travel plans for an upcoming meeting. The clinic didn’t go as planned. Eva’s ANC (a number that reflects the strength of her body’s ability to provide an initial fight against infection) was about 480—the lowest we have yet seen it, and below the threshold required for her to receive her prescribed dosage. Not only that, since she is below 500 any fever would require mandatory hospitalization as a precaution. As Audra kept me posted on the news via iMessage the old fears came rushing back along with the angry sense of uncertainty. This is the emotional whiplash other cancer survivors have told us about. One day the condition suffocates, the next it pierces—either way it’s uncomfortable. I’m actually writing this post on a flight east. The last time I made this trip I had to rush home to discover my daughter had leukemia. This time I will anxiously watch and pray that Eva’s immune system stays strong. The doctors and nurses assured us that nothing about Eva’s numbers are a genuine concern to them. They see this all the time, especially when children start receiving methotrexate. Apparently that particular drug hits ANC counts pretty hard. The plan is to have Eva lay low and let her body recover a bit before another clinic appointment on Thursday. If her counts are still low they will administer only the vincristine and delay the methotrexate further. I’ve titled this post “A Minor Setback,” because that’s what it seems to be. Her leukemia is not back, nothing like that at all. This is part and parcel of chemotherapy. Eva’s body has so far handled treatment so well that I had forgotten just how rigorous chemotherapy is. Today was a jolting reminder that what Eva’s doing isn’t easy, even if the whole process is starting to feel routine. In the end, I’m glad for this little reminder. It’s a gentle prod from God to keep in mind the values that have short half-lives when life goes well. Gentleness, kindness, patience, love—these gifts radiate when we bear the cross, but when the weight of the cross is lifted they seem to dissipate. Tempers flare, patience runs thins, love that reconciles is replaced with anger that nurses grudges. Thanks be to God for the cross of Christ! The Son of God stretched out his hands to die for the sins of the world and remove from all who believe in him and him alone the genuine threat of an eternity worse than annihilation—an eternity of existence without no gentleness, with no kindness, no patience, no love. Jesus was roughly beaten that we might have God’s gentleness, Jesus was roundly insulted that we might have God’s praise, Jesus was rushed to injustice that we might have God’s righteousness forever, Jesus sank into a hellish sea of hate that we might sail on the winds of his love. His cross has pardoned me for my flaring temper, my thin patience, my grudging anger—for all my sins. Now the cross that sets me free also shapes me. He presses it into my life by the work of the Holy Spirit. His gifts radiate once more. He loves me. He loves my family. He loves Eva. And if he has done so much to bring us these gifts then he will surely not fail to bring them to everlasting fulfillment. Tonight concluded the “Consolidation” phase of Eva’s leukemia treatment when she swallowed her final dose of oral chemotherapy. Tomorrow I will take her down to the clinic at Rady Children’s Hospital for a routine draw of blood. If her blood counts look good (and we expect they will), she will begin the next phase of her treatment on Wednesday, January 18. That phase is called ”Interim Maintenance I.” I have described the nature of these therapies in a previous post. People ask how we’ve been doing during these last few weeks. My answer is usually something like, “We’re doing alright, considering the circumstances.” That reply doesn’t really say much because there doesn’t seem much to say. The immediate crisis of a life-threatening diagnosis has been replaced with what seems banal by contrast—changing diapers, cutting pills, and mediating arguments. To borrow biblical language, things are neither hot nor cold, but lukewarm—spitting temperature. Each phase of Eva’s treatment has begun with a doctor handing us a list of drugs and their most common side effects. We are thankful that Eva has been spared virtually everything on those lists, but we are learning about the side effects you can’t quite quantify on paper. Perhaps it has been cabin fever from the frequent rain (which we need), or perhaps it has been the frustration from my stubborn cold (which we don’t need), but for whatever the reason there has been a certain pall over us lately. We’re tied pretty tightly to the house, disallowed for medical reasons from the places we once frequented. Things that were always “yes” have turned to “no.” Tactics that formerly turned the tide of a day breaking bad are either impossible or ineffective. The generous amount of patience that the crisis had generated in me has all but dissipated and I don’t like the way that feels. Bad days often tally into worse weeks. These days there is no single setback, no definitive burden that defines our story, just the background noise of daily cares. We’re in “maintenance,” which is about as boring a category there is. We’re stuck in the middle—not in danger, but not out of it either. I trust this is what it’s like to climb out of the valley of the shadow of death. Things are warming up, but the chill remains. The crest is ahead, but there’s still a good piece left to travel. And walking ahead of us is a Shepherd. In his hands are the rod that guides and the staff that comforts. In his hands are the nail–scars that testify to the truth that he has walked this path before us and did so for our eternal benefit. We fix our eyes on him. For the joy set before him he endured the cross, scorning its shame, and sat down at the right hand of the throne of God. We consider him who endured…so that we will not grow weary and lose heart (Hebrews 12:2-3). So, considering our circumstances, we’re doing alright. But considering our Savior, we couldn’t be better. We have received a mountain of gifts from far and wide ever since Eva was diagnosed with leukemia. Gifts are nice, especially at Christmas, but gifts present a spiritual challenge. Deep down we like getting things—that much is true, but deep down we don’t appreciate receiving gifts. I want to earn or deserve what I get, not receive what are gifts of pure grace. I want things to come my way because I’ve been a good son, a loving husband, a faithful pastor—the grown up version of hoping the elf on the shelf has seen what a good little boy I’ve been. So when my family and I receive gifts for no reason except that a cross-shaped trial has come into our life, I’m forced to grapple with the spiritual challenge of a true gift of grace. Not only have we done nothing to deserve such gifts (if we contribute anything it is only our weakness), but the suffering that has prompted them is a necessary part of Christian formation. Through our trial God has continued to empty us of ourselves that he might fill us with Christ, shaping us in his image and fitting us for our heavenly home. To be shaped in the likeness of our Lord in his suffering would be gift enough, but we have also benefited through our suffering from the gifts of love and concern that have come from all manner of people far and wide. This is grace upon grace. We bear a cross, yes, but we do not bear the cross alone. Only one person was required to bear the cross alone, and that was our Lord Jesus Christ. When he suffered, the darkness of evil was his closest friend (Psalm 88:18). The result is that we never bear the cross alone. When we suffer, we have innumerable friends supporting us and an all-powerful Friend sustaining us. This surpassing gift is ours because of the gift given in the Bethlehem manger on Christmas long ago. Jesus Christ is the truest gift of grace—a Savior who rescues his enemies, a Counselor who suffers for us, a Prince who rules in mercy, a God who aches to dole out grace. The light of Christ be with you all this Christmas. This morning right before lunch Audra received a voicemail from our case manager, Mary, at Rady Children’s Hospital asking that we call back—the results of Eva’s second biopsy had come back from the lab in Seattle. I returned the call to the case manager—heart pounding, adrenaline pumping—and got Mary’s voicemail. Ugh. Thankfully, case managers stay right on top of things. Ours returned the call within five minutes. I stepped into the play room and closed the door behind me. “Thanks for calling me back so fast,” I said. The rest of the conversation went quickly. Mary said she had good news. The leukemia cells are gone from Eva’s bone marrow and her “minimum residual disease” number came back at 0%. The induction phase of Eva’s treatment was successful. She is in remission. I choked out a couple monosyllabic words like, “yep,” “kay” and ”thanks” before ending the brief phone call. I opened the door to find Audra and Eva standing there. Tears in my eyes and a lump in my throat I just nodded my head, embraced my wife, and blurted something—I can’t remember what—to indicate that the news was good. After a brief moment we assured Eva that we were crying because the news was good. I got to my knees and looked her in the eyes to tell her that the leukemia was gone from her bones and blood—the medicine she worked so hard to take every day for 29 days had worked. She smiled a proud little smile. We all embraced. The standard first course of treatment (induction) for acute lymphoblastic leukemia most commonly yields remission after 29 days. We had been hopeful for this outcome. We knew that this was the most likely scenario. We are glad to have our hope become reality. We are thankful for the work of physicians and cancer researchers over the last several decades that has produced such a rapidly effective treatment. That we are able to gain such unmerited benefit through the innumerable hours of study and practice invested in the medical vocation is a testimony to the grace of God. He uses human vocations as his instruments of mercy. 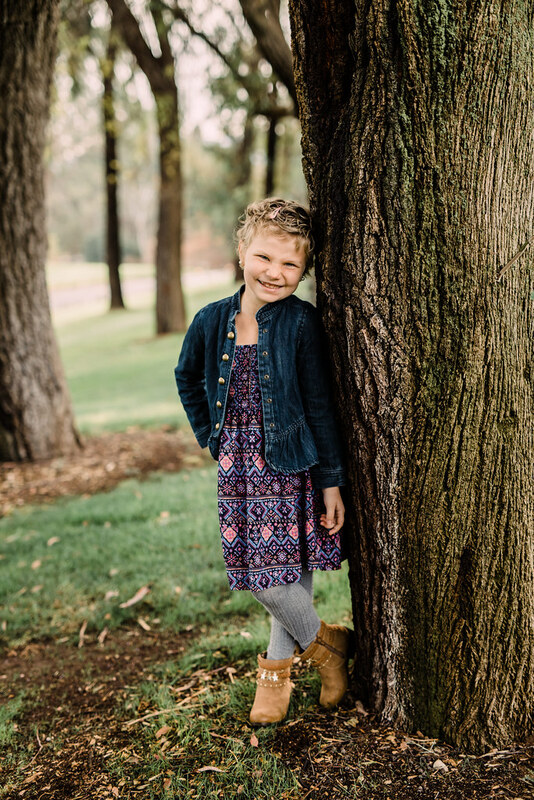 We are thankful that Eva is in remission, but remission does not mean she is “cured.” Remission means that there are no visible leukemia cells in her bone marrow and that the disease is not actively multiplying inside Eva’s body. Remission is awesome news, but Eva must still pursue the second (consolidation) and third (maintenance) phase of her treatment over the next two years. If we stopped now the disease would certainly return. Up next is consolidation, which will include frequent chemotherapy infusions for the next six to eight months. We don’t know what that treatment plan looks like yet; Eva’s physician will show us the roadmap at our consultation on Monday. There is still a lot of difficult chemotherapy in the future, the rest of Eva’s hair will fall out, and there is always the higher risk for dangerous infection and subsequent hospitalizations. Nevertheless, news that the induction treatment was successful is an important, positive step. Eva will remain at “standard risk” instead of going to “high risk” or ”very high risk.” We have some much-needed good news to carry us through the rest of the treatment. Things are looking up. For now we will live between the “already” and ”not yet” that characterizes the Christian life. We already have the good news that Eva’s treatment has been effective to this point. But we are not yet able to enjoy the full results of this good news. That will take many years, and there remains a chance we will never enjoy the good news of a full cure for leukemia. We just don’t know yet. But this is not a bad place to be. The accomplished fact of the “already” makes even the “not yet” into genuine joy as God’s gifts of faith, hope, and love circulate in our lives already now. Monday was the 29th and final day of Eva’s “induction” phase of leukemia treatment. On the agenda for the weekly clinic visit was an intrathecal (in the spine) dose of chemotherapy and a follow-up bone marrow biopsy. Both procedures were done at the same time under relatively light, general anesthesia. I had been bracing myself for this day because Eva has been any procedure that requires anesthesia includes certain food and drink limitations. Eva had been on twice-daily steroids for 29 days, the primary side effects of which were a constant, ravenous hunger combined with volatile mood swings. The morning routine on day 29 includes no food from 5am until the procedure (sometime after 11am). We would have no way to alleviate the pains and expected that the moods would be extremely difficult as a result. In reality, Eva did a tremendous job. In fact, Monday’s procedure day was her most patient and well-regulated trip to the clinic yet. The day started with an early departure from the house (about 7:00am) for the 8:00am check-in at Rady Children’s Hospital. Traffic was difficult that morning so we arrived a bit late, but not so late that it had any impact on the day’s schedule. By 9:00am Eva had her port access complete and blood drawn for lab tests. Then it was time to wait. Procedures begin at 11:00am, so we had a least two hours of time to pass with games and crafts while we watched Monsters University on the iPad. As I said, Eva worked patiently through her hunger and was in very cheerful spirits virtually the entire time. The day before the procedure she had told me, “I’m nervous about the sleeping medicine tomorrow, but for some reason I’m also excited.” She knew that this was a milestone and an accomplishment. I think she was looking forward to getting through the day as well as she could and being “done” with the first phase of her treatment. Her procedure went quickly and before long she was back in our little “infusion suite” waking up from the anesthesia. Patients who receive intrathecal chemotherapy are required to lie flat for 60 minutes after waking up to prevent the common side effect of headache. The 60-minute rest is about the only treatment needed to mitigate the side effects of intrathecal chemotherapy. She munched on the snack bag they give after each anesthesia procedure and watched one of her favorite movies again, Ratatouille. She was able to sit up again at 12:30pm and by that time the nursing staff had briefed me on Eva’s blood numbers and what to expect in the coming week or two. The bone marrow biopsy they took on Monday will be tested to determine whether Eva is yet in remission or not. The current diagnosis on her chart is “acute lymphoblastic leukemia not having achieved remission.” We want the diagnosis updated to “acute lymphoblastic leukemia having achieved remission.” The results of the biopsy will help to determine the course of Eva’s future treatment. If she is in remission, which is the most likely scenario, she will continue on the treatment protocol for “standard risk” patients. If she is not in remission, she will begin a treatment plan for “high risk” or “very high risk” patients. We will most likely have to wait until next Monday, December 19, to learn the results of Eva’s biopsy. It seems there are two reasons for this length of time to determine the results. First, only part of the test is done at the local lab in San Diego. The results that the local lab can rapidly determine indicate if someone has leukemia (thus they can diagnose the disease from these quicker tests), but the result that can accurately determine remission status requires more time to physically process, prepare, and interpret. Second, the marrow is shipped overnight to a lab in Seattle for that part of the test, adding a shipment day to the timeline. Nevertheless, there remains a small chance that they will have the results back by Friday, in which case we have asked that Eva’s managing physician call us with the results. Audra and I differed on that decision. I preferred to learn the results at a set date and time (Monday, December 19 at 2:00pm is the appointment), while Audra wanted the option to know as quickly as possible. We agreed to accommodate her preference on the matter. Now we wait, we watch, and we pray for the results of Eva’s biopsy and, more importantly, for the old order of things to pass away. No more chemo for you! Eva and I happened to be in the hallway at that moment heading to the restroom, so she saw the whole thing. And she most definitely put two and two together. She knows what the bare-headed kids mean. She is well aware that will soon be her new look. But she also knows why that girl was smiling at the end of the hallway—she was finished with her tough medicine, ready to start growing her hair back, and about to get her life back again. All the whispers of assurance she had heard in the last year had just come true. That little girl is Eva’s future. Moments like the celebration in the clinic on Monday are the light of future glory bursting through the cracks of this fallen world. These glimpses of God’s healing providence are the rumors of truth rippling through reality from the throne room of the ascended Jesus himself. Once you see them you can’t unsee them, once you hear them you can’t let them go—they are everywhere, and like the stars in heaven these healing deeds of the Lord are meant to proclaim his glory and point you somewhere. These glimpses of light and rumors of truth do not point you to your own seemingly good life or the seemingly good lives of others. Even the greatest stories of virtue and the most moving accounts of healing come from human beings irrevocably corrupted by sin. I realize that there is nothing very popular about the biblical teaching of sin—who wants to be told they are corrupt, broken, and doomed? But can we come to any other conclusion? Especially if we are weighing the evidence responsibly? So far it seems to me that every human alive today will one day be dead. And while we live each of us fails to do the good we wish we could do and continue to do the evil things we wish we could avoid. Something is not right. It seems to me that the ones who are really bringing the bad news are not the ones who accurately diagnose the problem of sin, but the ones who deny the mountain of evidence in front of us that proves we are sinners, and therefore we sin, and therefore we die. The glimpses of light and rumors of truth are meant to point you somewhere outside your own story, because your story ends in death. They are meant to point us to the one who is and who was and who is to come—God in flesh, Jesus Christ. the one whose story ends in life and who wishes to bring you into the same story. It was he who came at Christmas not to be the cute and cuddly reason for the season, but to be the stand-in for every sinful human being. He who had no sin—he was God, of course—became sin for us. Every corruption of your sin was laid on him and it lead where we know sin always leads—to death. But death could not hold him because death has no power over him. It’s quite the opposite, really. Christ burst the chains of death and showed hundreds of eyewitnesses what it looks like when the old order of things passes away, when he wipes away every tear from every eye, when human bodies pass through the grave clinging to Christ by faith. And he has assured every Christian—in writing, no less—that he who has passed from death to life is the only way to do the same. No more dying for you. Yesterday was Eva’s latest visit to the clinic in San Diego. The nursing team handled accessing her port quite quickly. Eva was anxious about it, but not nearly as much as the first time we had an outpatient port access. Last week was pretty brutal; this week she just let out one, sharp, surprised scream when they poked it in and then she was done. No real crying other than the one shout. The rest of the visit was spent mostly waiting. The normal procedure is to draw blood right away and send it to the lab for testing. The lab at Rady Children’s Hospital can produce results quite rapidly—usually within an hour. They’re awesome. But, an hour in an exam bay is still an hour in an exam bay. The physician or nurse practitioner (NP) won’t authorize the chemo dose until the blood work is back and they have had a chance to consult with the patient and her caregiver. On Monday the NP was running late by about 45 minutes on Monday, so by the time the chemo dose came we had been in the clinic for about two hours, not including the hourlong commute. Eva was out of emotional patience by this point, so she screamed quite loudly at the “flush” process, even though it’s quite easy relative to the port access she had just handled so well. But, before long the chemo dose was finished and we were packing up and heading home. Eva didn’t feel all that nauseous that afternoon and evening, but she still took a brief nap on the couch and took it pretty easy the rest of the day. She’s been in a fine mood overall, but we can tell how the steroids are taking their toll on her even as they destroy the leukemia cells inside her body. Eva has gained a noticeable amount of weight as a side effect of the steroids. She’s also bloated and looks generally uncomfortable. You can sense that moving around is more difficult for her. I’m not even sure she knows why, just that her body doesn’t seem to move the same as it used to. While this side effect was predicted, we’re glad to be in the final week of induction, the final week of twice-daily steroids. Next Monday, December 12, is the final day of induction and the day of a pivotal bone marrow biopsy. The biopsy on that day will tell us whether Eva is in remission. We are, of course, praying fervently that we receive news of remission that week. The results of that bone marrow biopsy will determine the course of the second phase of Eva’s treatment, called “consolidation.” We haven’t gotten many hints about what consolidation looks like except that it lasts about six to eight months, depending on how the patient handles the chemotherapy. We know that Eva will not be on regular steroids during that time, so her weight will begin to return to her pre-induction levels. We also know that her immune system will be much stronger, so we will be able to go to public places with her again. She’ll be able to get out of the house and become more active again. To be honest, though, all these details matter very little to me at this time. Knowing what treatment is coming doesn’t help me at all. I’m fixated on hearing the results of that bone marrow biopsy. I’ve compared the emotional process of Eva’s leukemia treatment to those big buckets you see at water parks, you know, the ones that slowly fill with water until—whoosh—a thousand gallons of water come crashing down. Audra and I each have emotional buckets that slowly fill until—whoosh—a thousand gallons of pent-up weight comes crashing out. We’re trying to get a sense of the pattern of these emotional breakdowns, like measuring the time between contractions or something, but for the most part the big blasts have been relatively unpredictable. We just know that they come from time to time. We try to talk through them. We react as best we can. I feel as if there has been an even bigger bucket filling this entire month, and it’s going to crash some time next week when the doctors phone us with the results of Eva’s biopsy. I almost want to ask that they not tell us until we sit down with them for our scheduled “consolidation” consultation on December 19. We realize that even if Eva is not in remission after induction it does not mean she won’t still recover. To be quite honest, we don’t actually know what it would mean for her treatment if she’s not in remission yet, just that the physicians would react accordingly. I just want to hear that she’s in remission. I just want to hear that everything is going to be ok. The big bucket’s going to dump and I want a thousand gallons of relief. On Sunday I’m preaching on Matthew 11. John the Baptist had sent word to Jesus to ask, “Are you the one who is to come, or should we expect someone else?” John was yearning for some good news in the midst of his trial. He needed a salve for the wounds of doubt. He wanted relief. His lips had faithfully proclaimed the good news to others, now he needed to hear the good news on the lips of others. The Lord provided. Jesus didn’t direct John to his intuition. Jesus didn’t ask, “What does your heart tell you?” No burning of the bosom or quiver in the liver is going to help John. John craves something real, something tangible—he needs to know that God keeps his promises. So Jesus told John how God was keeping his promises. That the blind would see, that the lame would walk, that the lepers would be clean—these were the promised signs that God had said through the prophet Isaiah would signal that the long-expected relief had arrived. Immanuel, God with us—finally! John asked, “Are you the one?” Jesus answered, “I am.” And John could know for sure because—look!—sick people are getting better again. Just like God promised. Jesus plowed through the rough seas of a dying world and left waves of healing in his wake. His spit could make mud powerful enough to restore sight to the blind—no wonder his apostles testified that in him dwelt all the fullness of deity in bodily form. This was by design. Jesus demonstrated convincingly that he was, in fact, who he claimed to be: God in human flesh, the Lord and Savior of all, the One who is to come. Jesus left no doubt about his deity and divine power by himself dying and rising from the dead again. But this was no parlor trick to impress the easily impressed. No, he died to do in full what he had done in part through his miracles. On the cross he swapped places with sinful mankind—with you—to raise us from our spiritual death and restore our religious sight. He died to make sick people better again, just like God had promised for generations. Jesus has already demonstrated his power over disease and death. Reliable eyewitnesses have written it down for us. We need no more signs to confirm our faith in him. We have enough to know that he is, in fact, the One to come. He is ours and we are his. Eva is the sick one who will be better forever. Of this there can be no doubt. But, God, we would love for you to share a little taste of that healing now to tide us over until the feast to come.